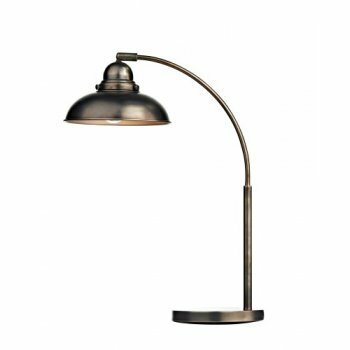 Dar Lighting Dynamo single light table lamp is a salute to a by-gone era with it's antique chrome domed shade and base with a polished chrome stem. The product code for this Dar table lamp is DYN4261. Double insulated and operated by the in-line rocker switch found on the power cable.